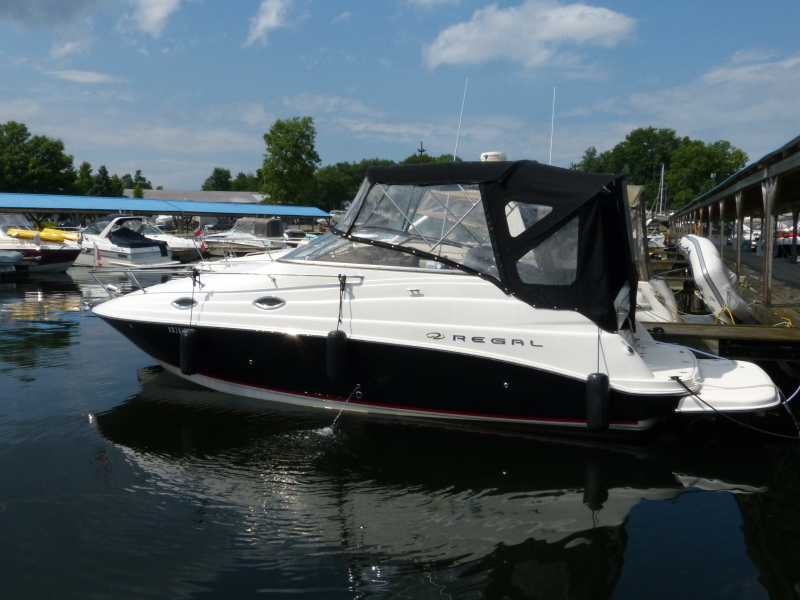 Regal's 2665 Commodore is a trailerable express cruiser with all the amenities and space a young family needs for comfortable cruising. The cockpit is well appointed with full enclosure. There is a full galley, large convertible dinette and queen-size mid-cabin berth with standing room entrance. Regal’s ultra-sleek 2665 styling, up-scale amenities and above average finish make it an unbeatable, high-value package in this size range. This lightly used, freshwater 2665 Commodore has averaged less than 30 hours annually, and is exceptionally clean and in incredible condition. Be sure to click the video button below for a Power Boat Television in-water review of this boat, including a test run on Georgian Bay.